I wantto get rid of the black space on the right hand side of my nav bar so that my spotify button is much closer to the edge of the browser. Is there some custom CSS to do this? You can move the button by adding custom CSS. However, it will not work properly because it will cut off the button because it is in container of the navigation. 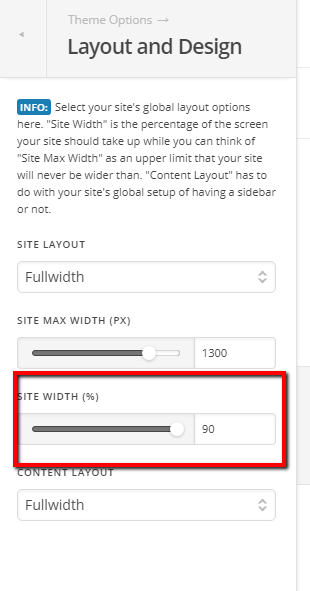 You could try expanding your site width. You adjust it in your Launch > Theme Options > Layout and Designs. It wors a little, but still not enough for what I was hoping - but thank you for your assistance. Here's an idea - as it is now, it is placed on a nav button so it's staying within the constraints of the nav bar. If I placed this button to the right of the nav bar, it would not have to remain within those constraints. Do you have any idea hoe I could place it to the right of the nav bar? Sorry for the confusion. This would custom development in X. You will need positioning like this. Actual custom coding for this is outside the scope of our support. For that, you'll need to hire a developer. I see your license is Pro. 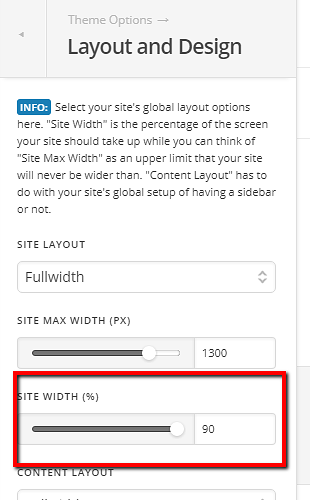 You can build a custom header layout with it so you might want to use it instead and see the Pro tutorials in our Knowledge Base.